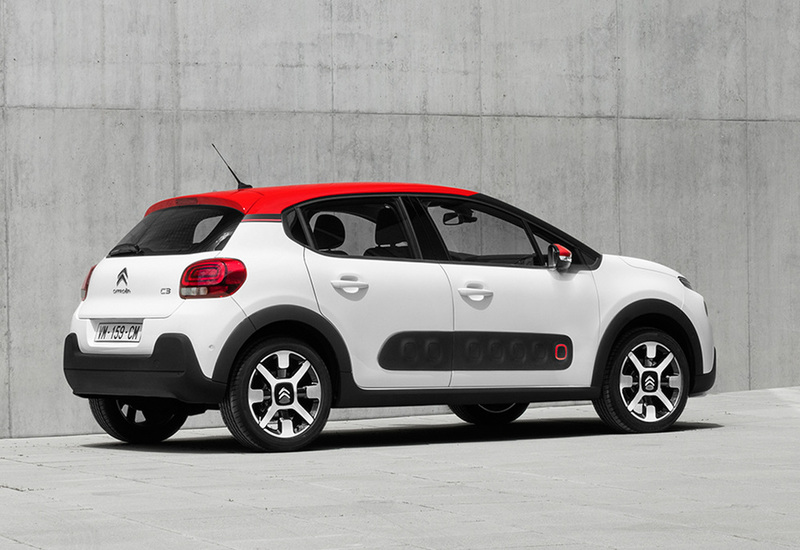 Citroën has unveiled its new C3 supermini. With a fresh, bold and colourful redesign the new 5-door model is described as ‘highly customisable’ with a total of 36 possible colour combinations. The exterior has a two-tone paint option, with a choice of three roof colours and complimentary touches of colour around the car (fog lights, door mirrors, rear quarter panels and on the Airbump panels). Inside, there is a choice of four different interiors that all deliver a 'spacious, yet intimate feel', thanks to the shape of the seats and an uncluttered dashboard. Borrowing plenty of styling cues from the C4 Cactus including the slim day time running lights and airbumps on the doors, a new front-end gives a ‘powerful impression of robustness’ says Citroën, with a two-tier front light signature. Double chrome strips extend from the chevrons and go all the way across to the LED daytime running lights and the protective front bumper blends into the rest of the bodywork. In profile, the black windscreen pillars and floating roof accentuate the ‘dynamic outline’ while the wheel arches are fitted with extensions for a crossover appearance. At the rear, the generously sized, muscular wings adds to the dynamic appearance, as does the short overhang. The thermoplastic polyurethane material used in the Airbump panels resists everyday degradation, protecting them from sunlight, water, scratches etc. Each panel positions a line of air-filled bumps at the bottom of the doors to protect the most vulnerable areas of the car in the urban environment. 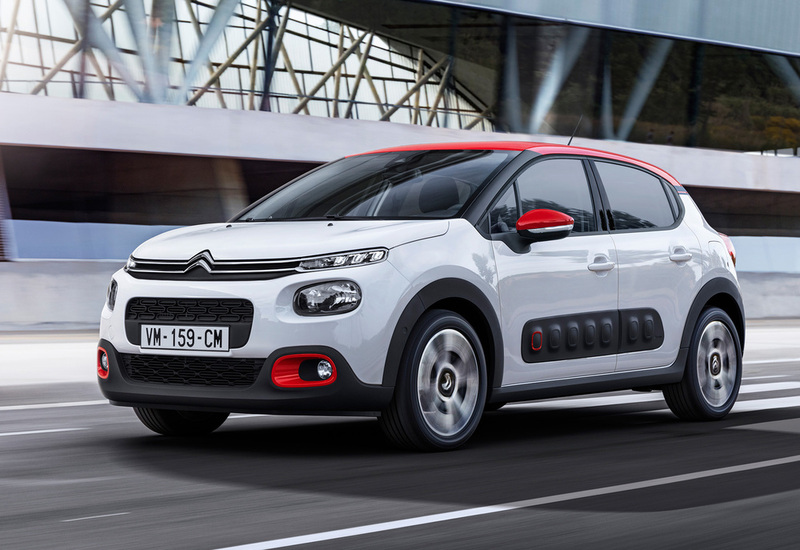 The new model also debuts ConnectedCAM Citroën - a fully integrated camera, located behind the rear view mirror which captures images and video that can instantly be shared on social media channels, or saved as evidence in the event of an accident. The driver clicks a button to safely take photos as keepsakes or for instant sharing on social media. A longer press of the button captures video for up to 20 seconds, which can then be shared once the car is stationary. Stored content is directly accessible via the ConnectedCAM Citroën free app. In the event of a vehicle collision, the video system switches on automatically. The video can run for up to 90 seconds (30 seconds before and 60 after the incident). This footage can be useful as evidence following an accident. There is a choice of three PureTech three-cylinder petrol engines, with manual transmission: PureTech 68, 82 and 110 (Stop & Start), and two manual Diesel powertrains: BlueHDi 75 (Stop & Start) and 100 (Stop & Start). Citroën’s EAT6 fully automatic gearbox can also be specified.